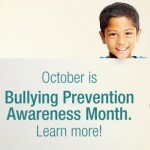 Research: October is National Bullying Prevention Month. Unfortunately, bullying is often considered part of the school experience — something that kids are expected to endure and overcome on their own. However, study after study outlines health and academic risks to both the bully and the bullied, including increased indices of depression, anxiety, and risky behaviors. Practice: We know that physical and emotional safety is primary to well-being, and that without it learning cannot occur. We take great pride in our ability to maintain a positive school culture, not only for the sake of learning; it also makes Chrysalis a great place for everyone to be! When situations inevitably arise, we take the time to talk students through them, to help them see new perspectives, and build empathy and community. If you suspect that your child is experiencing any form of bullying, please let us know so that we may deal with the situation appropriately.